Lucifer’s on the loose, which can only mean trouble for nearly everyone, right? Right! Ha, normally you might say wrong there, but in this case... basically Cas stabbed Luci with an angel blade, but apparently it didn’t do any permanent damage, because Lucifer is still up and about, despite feeling all cold and hungry and human-ish. He fuels up on a Cupid angel’s grace, then meets a homeless guy who tells him about a supposed faith healer named Sister Jo, who is almost certainly an angel based on the fact that she has glowy hands when she heals people, duh. Meanwhile, Cas makes his way back to the Winchesters and fills them in on where he’s been, blah blah blah. They bring the prophet Donatello over to help translate the demon tablet, hoping it will have similar instructions as the angel tablet in the apocalypse world about how to open a rift. Of course, they’re all idiots and leave him to himself, so he gets mind f’d by Asmodeus; basically he’s supposed to tell him what he figures out about rift opening and such. So the doofus trio head out in search of Lucifer, and are able to track him down pretty easily. But too bad for them because he’s actually found an ally in Sister Jo, or whatever her angel name is, who makes a deal with him to take little bits of her grace at a time to power up. A help each other sort of deal. 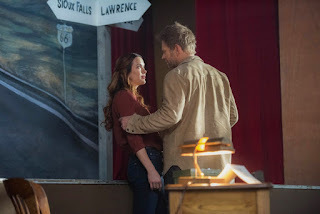 Yet, even though she even protects Lucifer when the guys show up, she still used her regular credit card, which they were able to trace to find them in the first place. Ummmm ok, everyone just a bunch of dummies now or what? Ketch also is around this episode, having been tasked by Asmodeus to find and kill Lucifer, of course he runs into the Winchesters instead, who first knock him out and leave him in the trunk, only to have him show up just as Lucifer is squeezing them rather terribly and force him and his angel dealer friend to bop away. 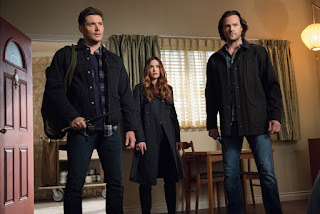 He wants to work together to kill Lucifer, which the boys reluctantly have to sort of agree with since they currently all want the same thing. Jo takes Lucifer to meet with the angels in charge of heaven, and he wants to make a deal. Basically, he claims he will create more angels if they let him rule heaven, and that he can also give them their wings back, because apparently he saw how GAHHG did it? Sure. They agree, because they’re also dummies. And, finally, the big reveal of the evening. Ketch is reporting back to Asmodeus and mentions he won’t be able to kill Lucifer if he’s at full strength, but apparently there is this secret blade no one’s ever mentioned before in the history of the show, that I can recall anyway, that can kill archangels. You know, the archangel blade. But Ketch, who apparently has heard of such a thing, says only an archangel can wield it, which Asmodeus is not. But you know who is? The angel he has locked up. None other than the old trickster himself, Gabriel. Dun dun dun. - I mean, my GAHHG, no one EVER stays dead on this show. 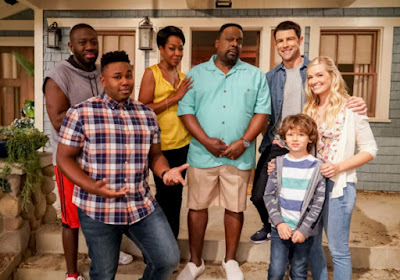 I honestly thought they might bring back Adam/Michael because there’s been all this talk about the other Michael, and really I would’ve been down with that because he’s just been forgotten down in Hell for no good reason, but no. Don’t get me wrong, I don’t dislike Gabriel, but he’ll always be the trickster in my eyes and this turning of other characters into angel related beings just annoys me in the first place. 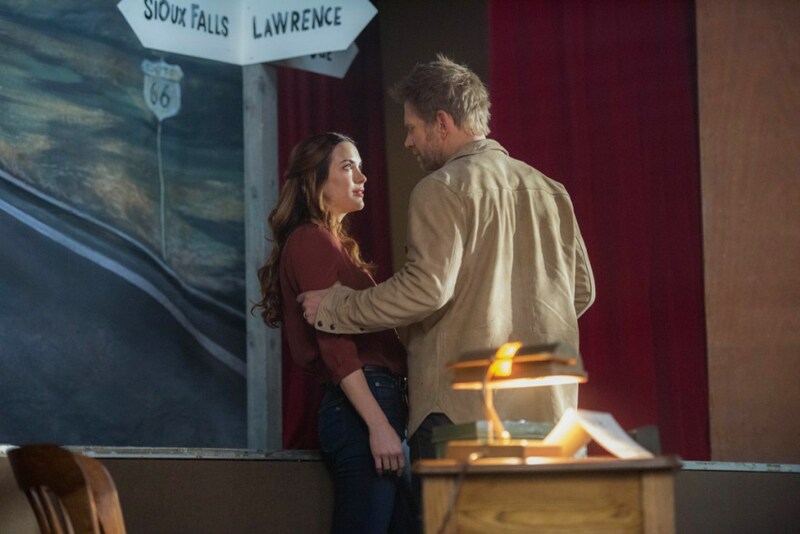 - What did you all think of Danneel Ackles making her debut on the show? It's a bit odd that they'd give her the name Jo when they already had a prominent character named Jo in the past, one Jo Harvelle. - On another note about Sister Jo, does she have some secret plan? Seems like she probably does, or else she was just a real idiot in using her real credit card. - Anyone else noticing some gray in Jared’s hair lately? Aw. Lucifer: What, what’re you gawking at, never seen the Prince of Darkness before? Dean: Donny, how you doing? Donny: Oh, the usual, bewildered. Sister Jo: That was all over angel radio. Lucifer: Yeah, star power, can’t fight it. Lucifer: Your hair, Sam. It’s magnificent. What is it, a leave in conditioner? Sam: How’d you get out of the trunk?